We all love listening to music. Genre after genre, thousands of songs are written, many more compositions made, and even so, more bands are formed in India alone. From there it's a rat race for the first "happening" gig in the city. Every band wants its break and every artist wants to put forward something to its audience but little do we realize that behind all the hype that goes into forming a band and making its Facebook page, the pains and trouble that goes into doing Original Compositions. Everyone writes songs and only the few on the top are appreciated about their work, the people down the ladder are not even heard to. People with a lot of potential in music, write songs and post them, only to be heard by a couple of friends and a few more. Artists appreciate when we compliment their original compositions and energy on stage because that is what they are about, that's what makes them unique. Compositions most often, if observed closely, have a message for all of us. 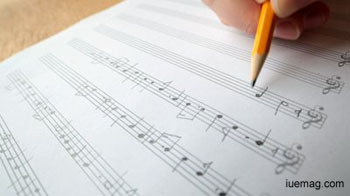 A songwriter's heart is poured out when a song is written, a singer's voice cries when he feels the song he sings and when this is made into a song and sung, the audience feels it, shivers down one's spine, the electrifying feeling, tears of joy. Every artist wants his story to be heard by all, making his original work much more touching and close to his heart. The music we love and scream out to, most of it being covers of international artists played by Indian artists, is fun to listen to but to find the depth of the music in an artist's soul, ask one to play their own compositions because that's where their life's work lies, the reason why they do music. Next time you hear a band/artist play music, ask them for their own compositions, listen to them and appreciate them because if you can connect to what they feel through the lyrics and music, then you've entered into their personal realm and you give the praise for being who they are. They love to hear what you have to say to make it better because that's a musician's perspective.